Please contact us if you have questions. A picture is worth a thousand words, either by picture text or in an email. The email is generally much better for picture quality since phones have such small screens. 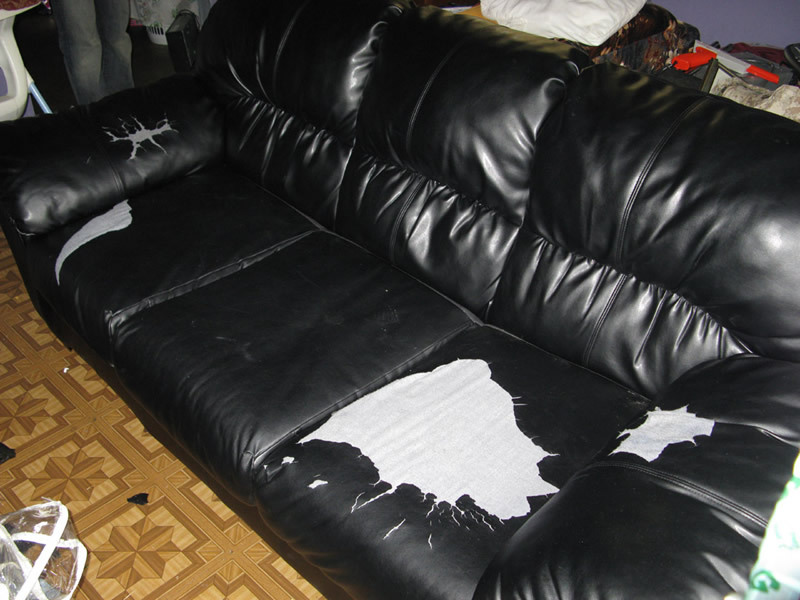 If the customer had sent a pic of this couch they could have saved an estimate fee. It's too far gone to repair. Due to some very unsatisfactory behavior on the part of AT&T, we have disconnected the 5955 number. Copyright ©2014 Encore Trim, inc. All rights reserved.